The Paris manufacturer of turnkey water treatment plants, which generates revenue of 20 million euros, is joining forces with Turenne Capital, the lead partner in Isatis Capital, a historic shareholder and Bpifrance. Sources is holding a new roundtable in order to be able to compete with the industry giants, Veolia, Suez and Saur. Supported by Isatis Capital since 2011 following a 3.1 million euro capital increase, the Paris manufacturer of turnkey water treatment plants is bringing in two new financial partners. At the end of an auction process conducted by teams from Pax Corporate Finance, Turenne Capital acquired a minority stake through its Emergence ETI fund. Last October, it completed its final closing at 100 million euros after a first closing of 60 million euros in 2016. Bpifrance is also included in the capital as a minority shareholder through it France Investissement Energie Environnement fund, with the same percentage holding as Isatis Capital. The historic partner is transferring a portion of its shares, but is reinvesting a portion of its sale proceeds. A public investor was chosen, particularly because of the public nature of Sources’ clients. Patrick Billette, President and founder of the company, is also one of the assignors. He will retain the majority of the capital alongside ten key managers whose number has risen on this occasion. This primary LBO is financed by a senior debt provided by CM-CIC (historic bank) and BNP Paribas for a lever less than 3 times the Ebitda. A diversification of the offer engaged. Founded in 2000, Sources specialises in the design and construction of turnkey water treatment plants. Its clients are water boards, town councils and urban communities. Claiming to be one of the top five national players, the Nanterre-based company operates throughout France with its four regional offices in Bordeaux, Montpellier, Dijon and Angers and a local agency in Alsace. It also has branches in Morocco, Tunisia and Algeria. Boasting an R&D division, the Group is now competing with the industry giants for projects greater than 100,000 population equivalent. Employing about 30 employees, Sources generates a turnover of 20 million euros with double-digit growth, of which more than 15% is achieved through international projects. “Following this reorganisation of the capital, Sources may be able to think about diversifying its offer and continuing to strengthen its geographical coverage. 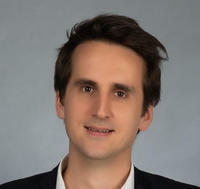 This development may be carried out either through organic growth or through acquisitions based on market opportunities”, concludes Stéphane Saudo, Associate Director of Turenne Capital.